The last details are being settled in Athens, in preparation for tomorrow’s visit of the Greek Prime Minister to North Macedonia. 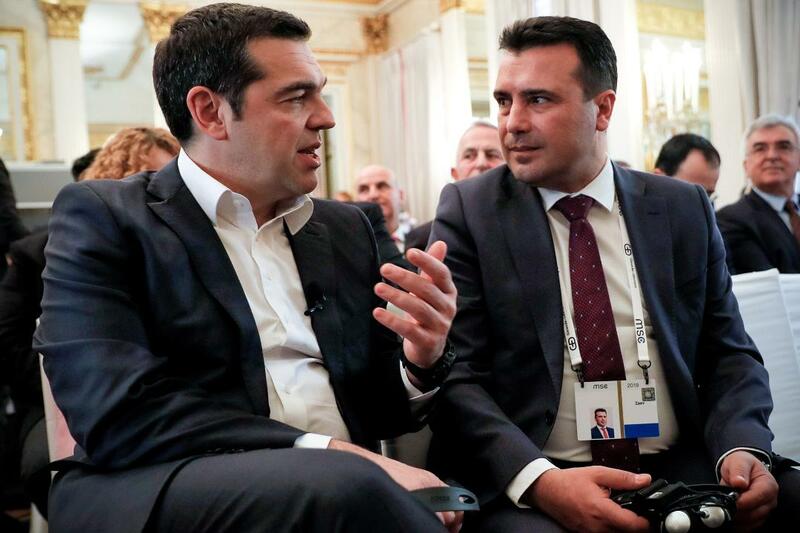 Alexis Tsipras, accompanied by ten ministers and 120 businessmen and business representatives, will meet in Skopje with Zoran Zaev, with the two leaders participating in the Hellenic-Northern Macedonia Cooperation Council. This is the first visit of the Greek Prime Minister to the country, which will also be a major opening act for the implementation of the Prespes Agreement. The visit is expected to seal the common will of both sides to strengthen strategic cooperation, while focus will be placed on resolving any problems that have arisen from the first period of the implementation of the Agreement. During the Council, six transnational agreements and multiple business ventures will be signed between companies from both countries, as well as between Greek companies with North Macedonia, while everyone is expected to participate in the business forum that will take place later. For Athens, the agreement on the control of the airspace of North Macedonia by the Hellenic Air Force is of particular importance, an area in which Ankara wished to be involved. At the same time, there will be an agreement between Athens and Skopje to accelerate the accession process of North Macedonia to the EU. A position already expressed in Brussels by Alexis Tsipras, who, according to information, has almost personally undertaken to persuade Member States who have objected to an accession date in June. There is also great investment interest, as the list of entrepreneurs who will accompany the prime minister of Greece in Skopje had been growing up until the last moment, while a series of meetings took place in Athens and Thessaloniki in the presence of Alexis Tsipras. Almost all of Greece’s business giants have shown a keen interest. DESFA, MOTOR OIL, INTRAKOM, GEK TERNA, MYTILINEOS, AKTOR, TITAN, Copelouzos Group, SIDENOR, are some of the participations that stand out.